San Francisco is one of our favorite cities in the country. The weather is excellent, the scenery is beautiful and the food is delicious. There is a ton to do. Also because of its small size, it's pretty walkable. We love it there. We already wrote about five unique things to see in San Francisco, but we just got back from another trip to the city. 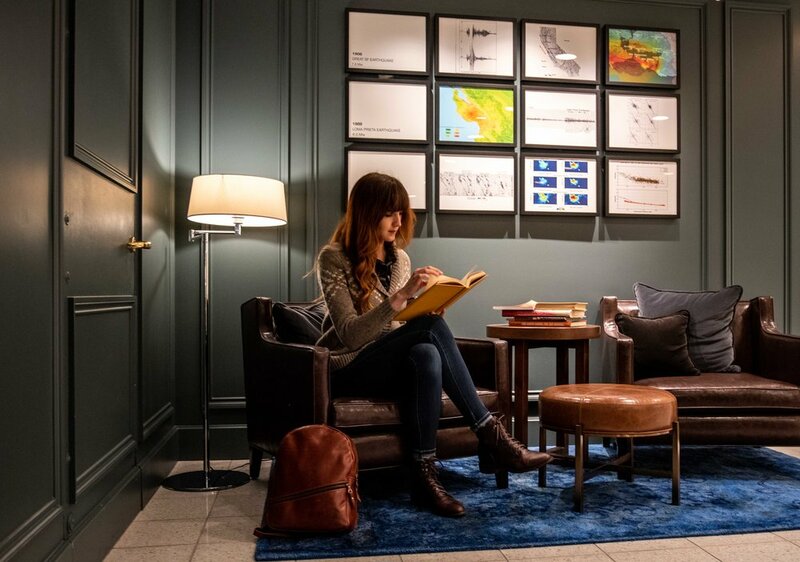 Keep reading to find out where we stayed and why you’ll want to stay there too. 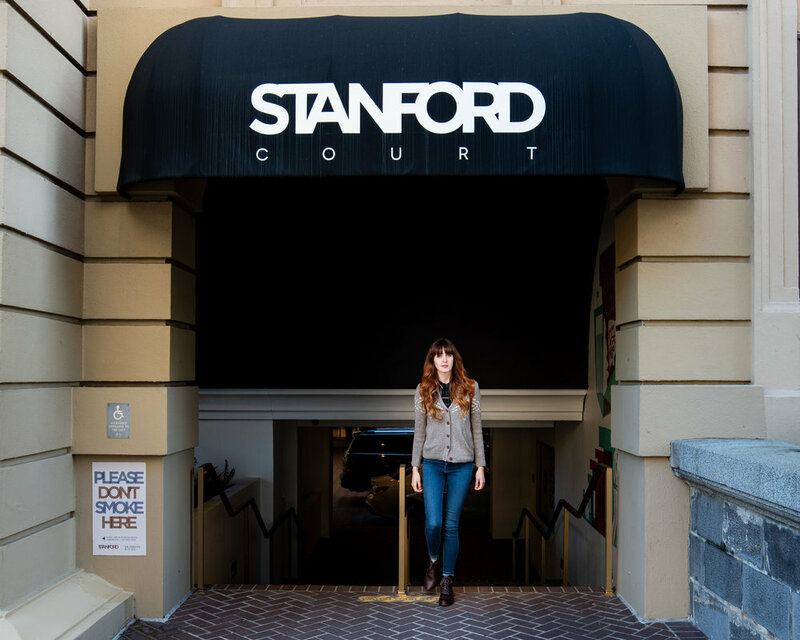 The very first time I visited in San Francisco, I stayed at the Stanford Court Hotel. Now Charise and I went back together, and they've recently renovated the entire hotel. It looks awesome. 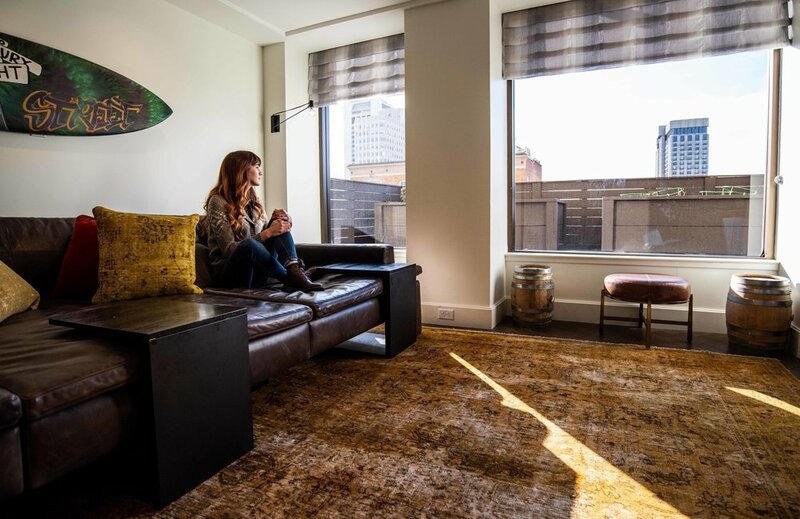 The furnishings are modern, and several small touches made our stay unique. The rooms are bright, sleek and had great natural light. The windows in our room also opened. That's a small thing, but since the weather in San Francisco is always so cool, we were able to let the outside indoors. 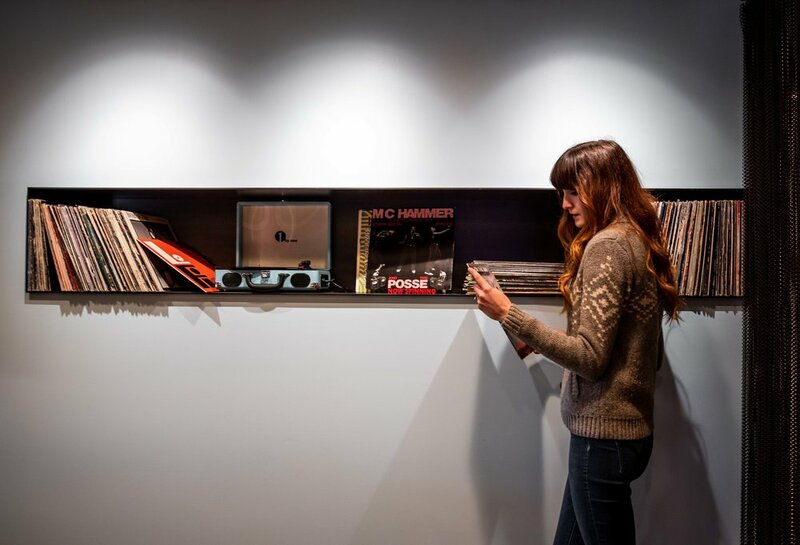 In the lobby, there is a reading room, and adjacent to the bar is a music nook, with plenty of vinyl to choose from. The Seven Stills bar had some refreshing drinks on the menu, inspired by famous movies set in San Francisco. Breakfast at the Stanford Court is an extensive buffet with a ton of dishes to pick from. The house-made cereal and yogurt were our favorites, but eggs, bacon, and pancakes were other options. Our room was bright and airy. The location of The Stanford Court is another excellent feature. Located at the top of Nob Hill, we were just steps from Chinatown, North Beach, and the famous Tonga Room. The hotel is a mile from Japan Town in one direction and a mile from the Embarcadero and the ferry building in the other. You can borrow a bike from the front desk to ride around or the trolley runs right in front of the hotel, so you can hop on it for a ride with little trouble. The hotel is right in the middle of everything. The last time we were in the city, we stayed in Union Square, but found it far too touristy. Nob Hill is where we'll be staying from now on. The only drawback is that Nob Hill, unsurprisingly, is on top of a huge hill. It's relatively easy to leave and walk down, but every time you return, you'll have to hike up a pretty steep hill. You'll get a good workout for sure, or you can just hop on the streetcar if it's too strenuous. 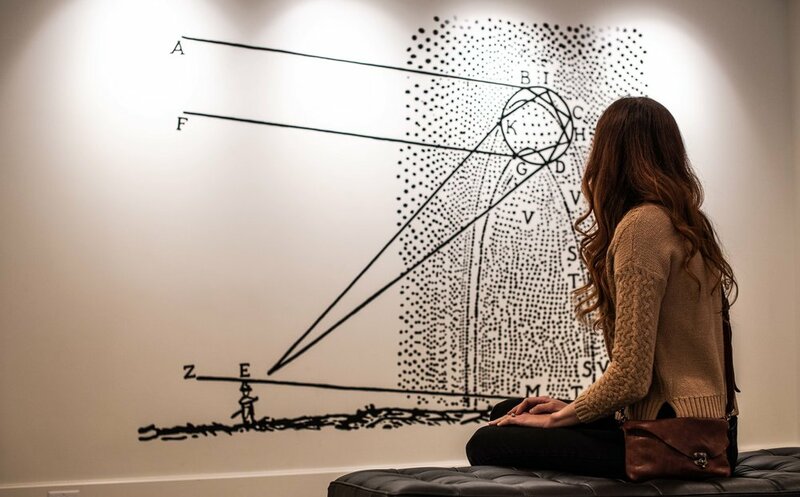 The lobby is full of murals by local artists. Speaking of workouts, Charise was training for her first marathon during our trip. She loved the on-site fitness center. It was better equipped than the gym we use back home. The views were unique as well because the gym windows look out on California Street, where the streetcar passes by. San Francisco is a fantastic city. There is so much to see and do. It's also a city that is full of hotels and Airbnb's. You certainly have a lot of options. All of these different locations are fighting to stand out from each other. The new Stanford Court Hotel is definitely unique. We had a great stay at there, and we know you will as well. What do you think about the Hotel? Have you ever been to San Francisco? Answer below in the comments.